Buy Clenbuterol at Peptides For Sale. For the best quality peptides and research chemicals, Peptides For Sale has what you need. Buy Clenbuterol 200mcg per ml, 30ml bottle.All 60ML orders will be sent in two 30ML bottles. 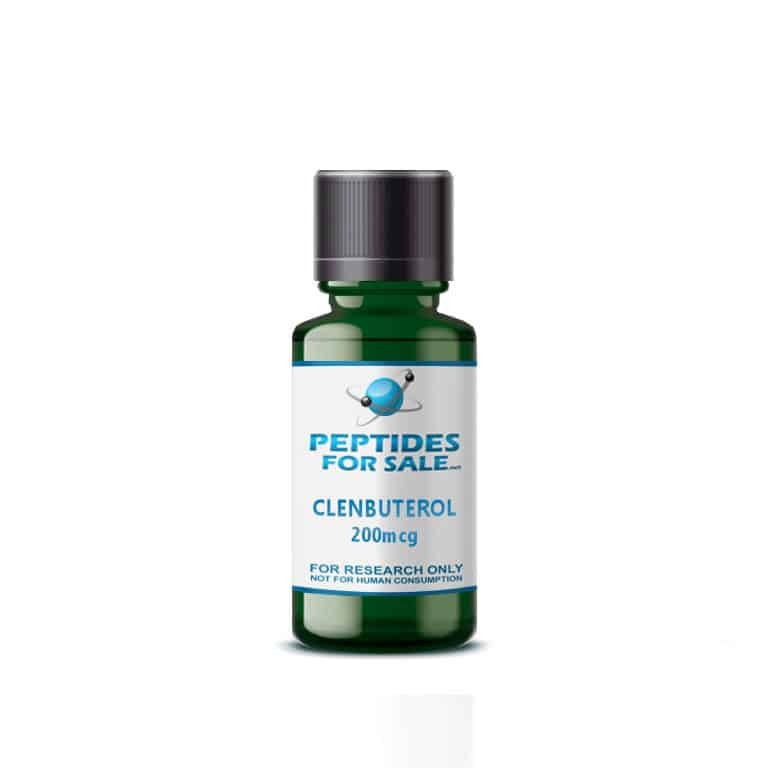 Clenbuterol belongs to a class of drugs known as beta-2 adrenergic agonists. Its primary known mechanism of action is on the beta-2 adrenergic receptor, also known as ADRB2. Beta-2 adrenergic agonists are primarily used to treat asthma and other pulmonary/respiratory disorders. Other long-acting beta-2 adrenergic agonists include salmeterol, formoterol, and bambuterol. Clenbuterol has been popularized in the public mind recently by media portrayals of off-label use for fat loss, as well as some professional athlete doping scandals involving the drug.